Off-season vegetables taste like nothing (have you ever tried strawberries in December?). Greenhouse vegetables are more expensive since cultivation methods increase costs. Consumption of off-season vegetables may cause diseases since they contain more pesticides. Nature has its own wise way to nurture us. 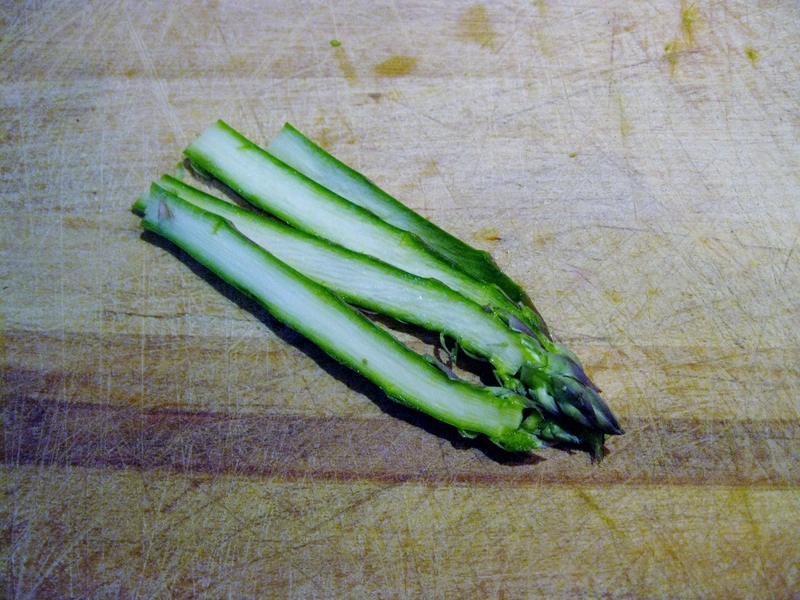 Some asparagus with their ends cut (about 7-10 depending on thickness). 1 cup of fava beans. Boil fava beans for over medium-high heat for about 7-9 minutes. Peel them and set them aside. Some shaved Pecorino Romano cheese flakes. Carefully slice asparagus lengthwise into 4 slices. Steam asparagus in a vapor pot for about 5 -7 minutes. 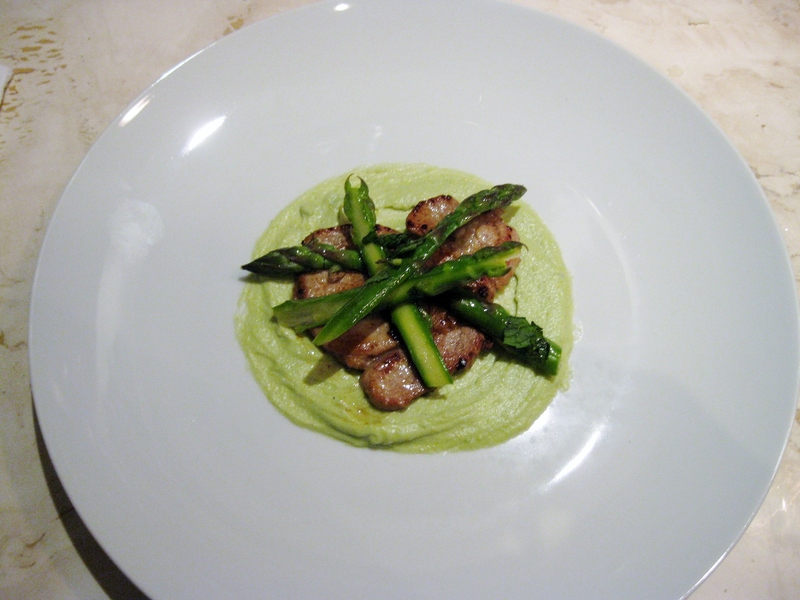 Asparagus have to remain crunchy. 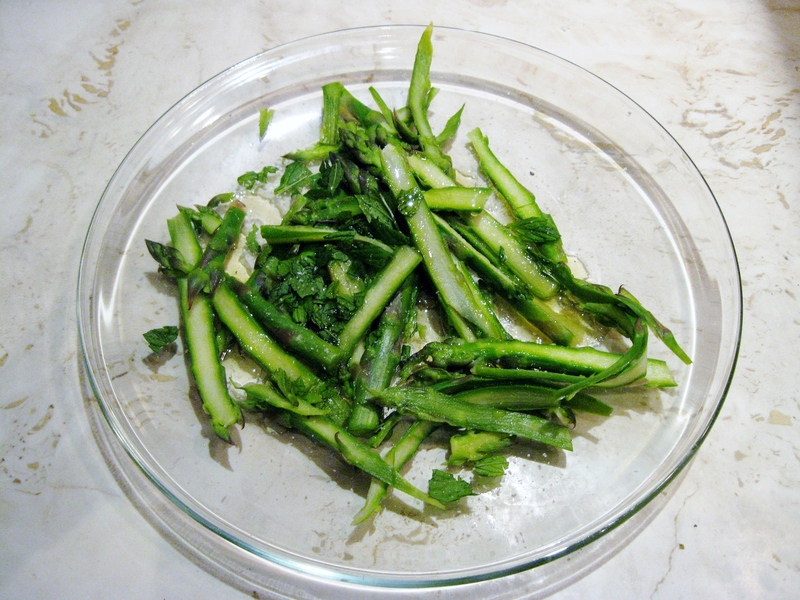 Combine cooked asparagus, with chopped mint, olive oil, and salt and pepper to taste. 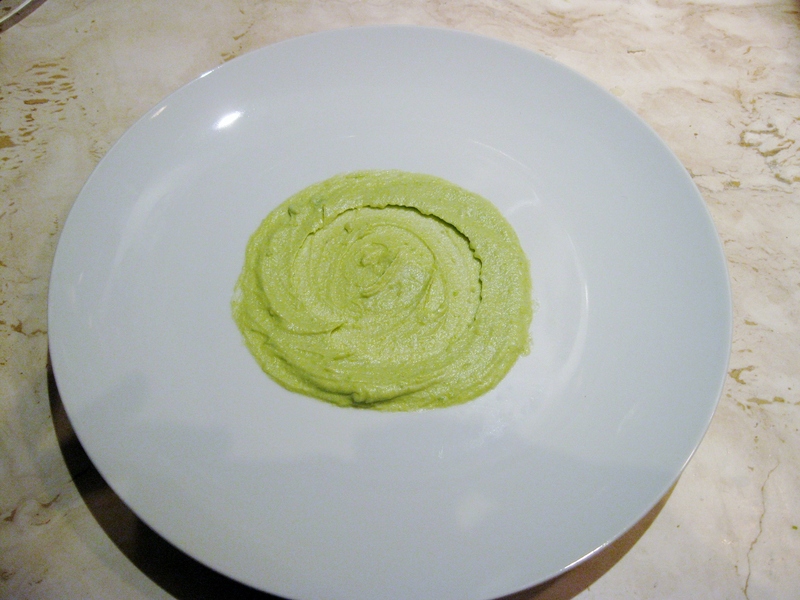 In a blending beaker combine boiled fava beans, 1/3 cup olive oil, and 2 tablespoons of grated Pecorino Romano cheese. 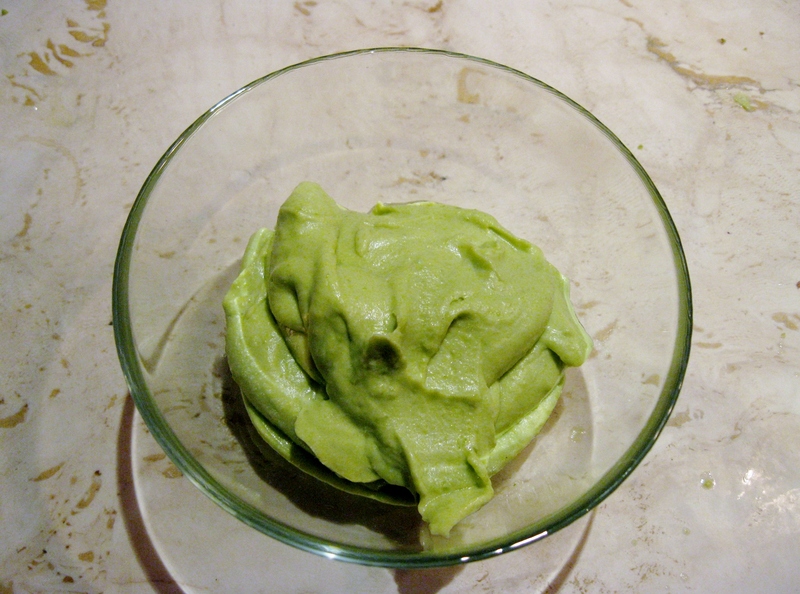 Blend the mixture using an immersion blender, adding water for desired consistency. 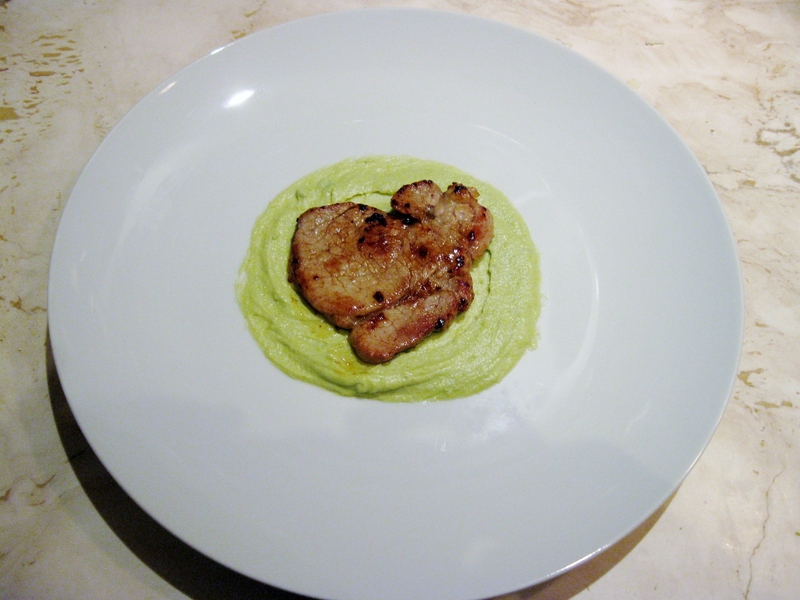 In a skillet heat olive oil over medium-high heat, and grill veal slices until golden. Spoon the sauce on a plate by forming a circle. Place one veal slice over the sauce. 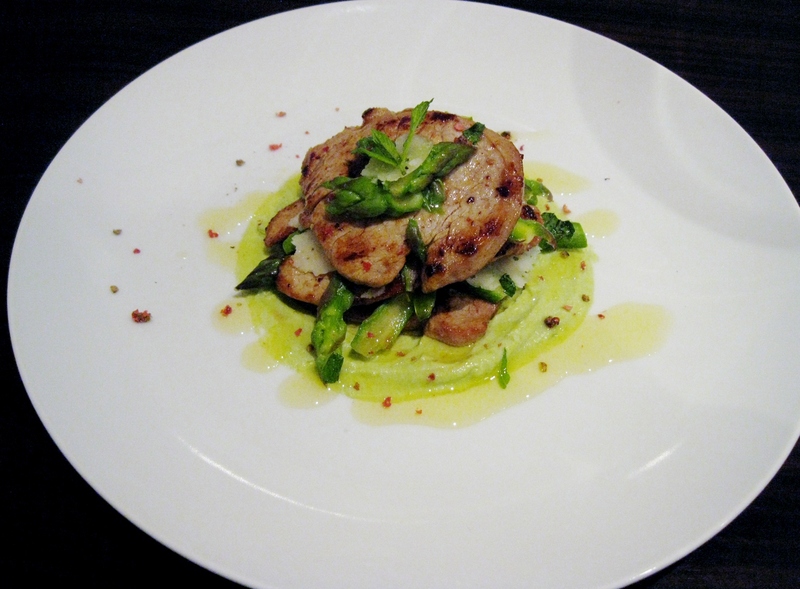 Place the asparagus-mint mixture on top of the veal. 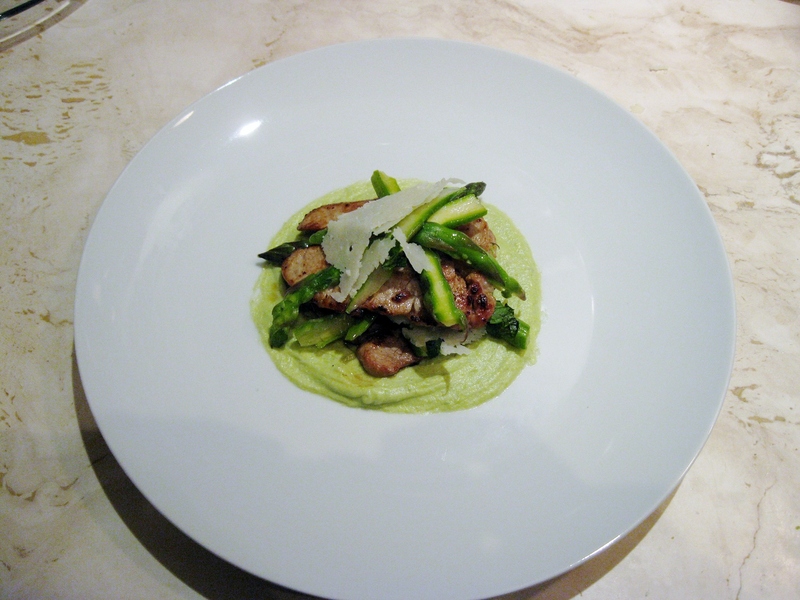 Place some shaved pecorino over the asparagus-mint mix. Place another slice of veal on top. 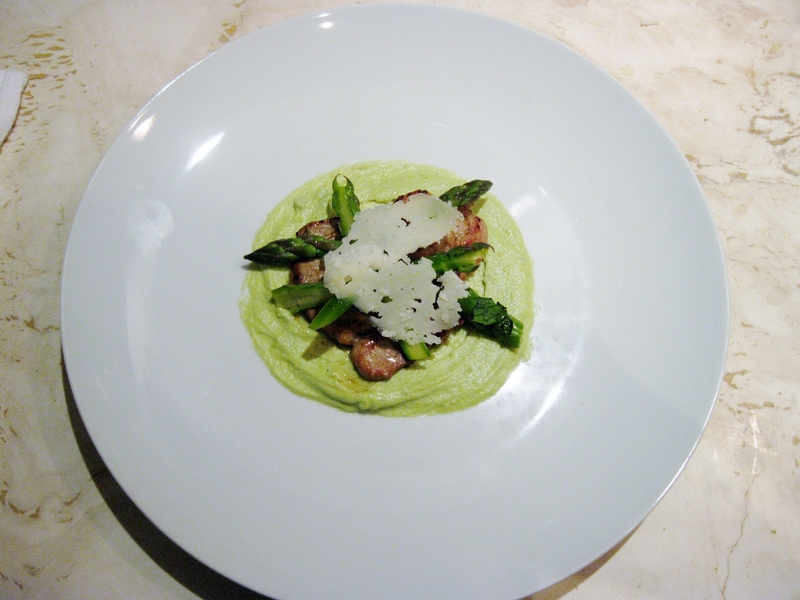 Repeat layering with asparagus and shaved pecorino. 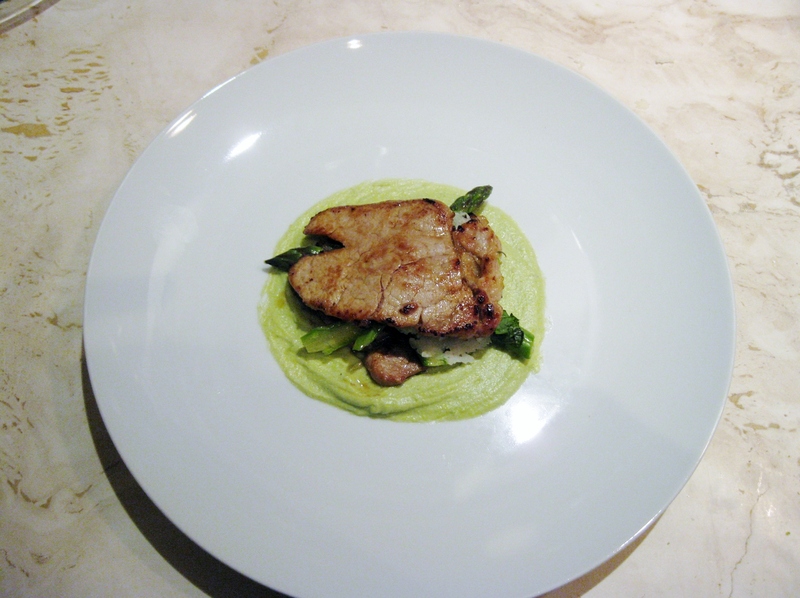 Finish by placing another slice of veal. 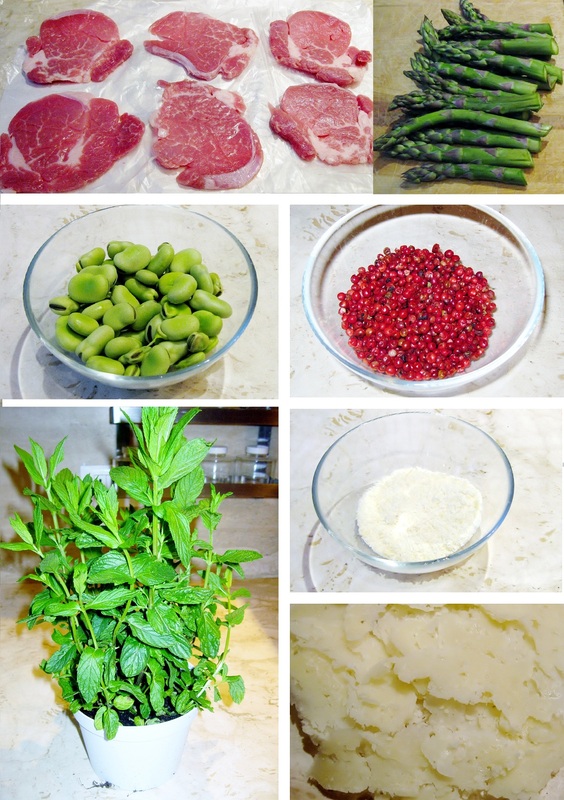 Arrange the top part by placing some asparagus tips and some mint leaves. Drizzle with olive oil and sprinkle with ground red peppercorns. Great post. I love it that you added pecorino to this dish. I’ll try this. Thank you. I love shaved pecorino with any kind of meat!! 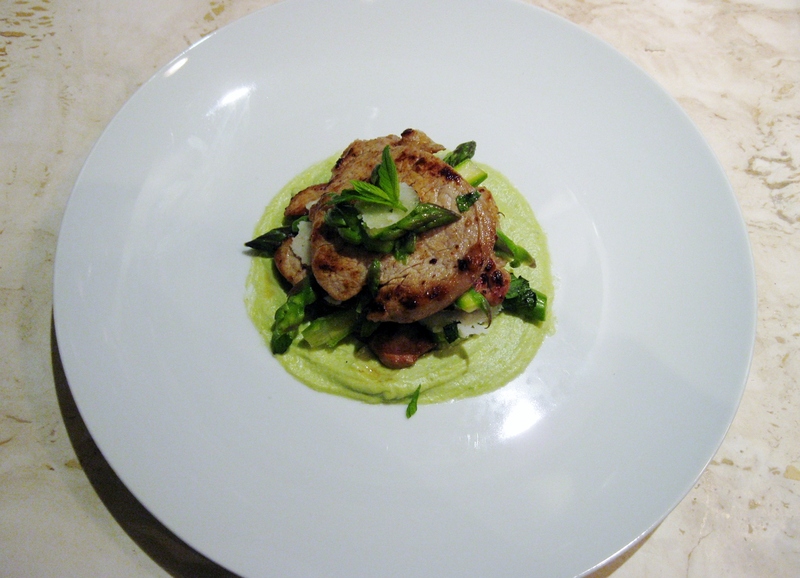 Try italso with beef tagliata and arugula!! !